Situated on a narrow ridgetop at the northernmost tip of the Anderson Valley, The Narrows Vineyard is a historic mountain ranch planted with mature Pinot Noir vines. A mere 10 miles from the rugged Mendocino Coast, our low-yielding hillside vineyard is affected by strong marine influences that produce summer fog and cooler daytime temperatures. These extreme conditions provide the perfect setting for growing grapes of great intensity, resulting in a complex Pinot Noir of depth that embodies the vineyard’s wild beauty and natural intensity. The Narrows is a mountaintop vineyard located in the cooler “deep end” of the Anderson Valley. The grapes from this distinctive site consistently yield complex, age-worthy wines that strike a balance between rusticity and sophistication. Perhaps the finest vintage ever from The Narrows, this thought-provoking wine offers a nose of fresh-picked raspberries and blueberries, alongside savory mushroom and buttery herb layers. On the palate, the fruit continues to sing with huckleberry and blackberry notes. 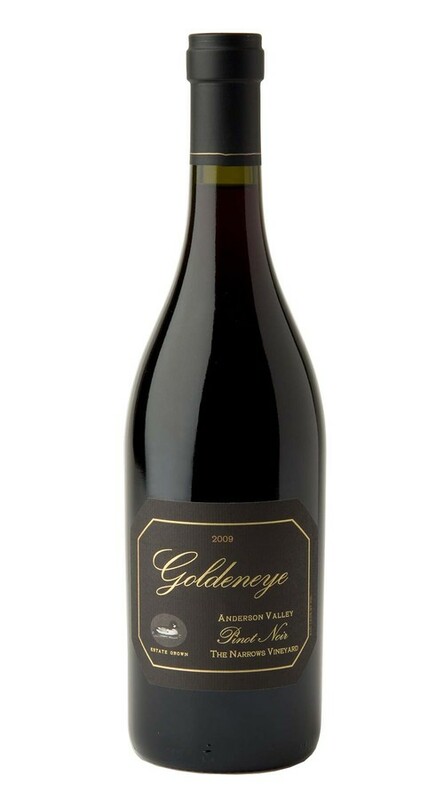 Though the structure is intense and focused, this is also an elegant and age-worthy Pinot Noir. The 2009 harvest began at a measured pace in our Confluence and Gowan Creek vineyards, before the arrival of a ten-day heat wave. This heat wave was beneficial for two main reasons. Not only did it push the fruit in the warmer end of our valley to perfect ripeness, it allowed the vineyards in the colder “deep end” to catch up from a cool growing season. Just as important, the heat was followed by an extended cool-down, which essentially “held” the fruit in perfect balance as we picked block by block to garner the best wines.